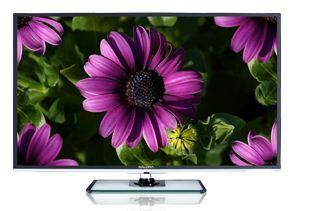 Prominent & Leading Manufacturer from New Delhi, we offer LED TV and LED TV from salora. With Google's Android 4.0 bundle up seamless content from social networking to videos on Youtube on your TV for a life changing experience. Now stay connected with your near and dear ones through Skype on your Wi-Fi enabled TV. With a dedicated HDMI port and USB connectivity. Now redefine your TV viewing experience. Enrich your vision and let the colors come alive on your Full HD SMART LED TV with 16:9 aspect ratio, let the true multimedia experience unfold. With an economical power consumption of £ 1 W at standby and 85W at full. Don't let worries come between your true multimedia experience. Enrich your vision, feel real life colors come alive on your TV screen with full HD LED ready 99cms(39") screen with brilliant 16:9 aspect ratio and feel a complete multimedia experience unfold. Connet your world with cutting edge experience and cherish every moment with 3 integrate HDMI Port and USB connectivity to other multimedia devices for the ultimate audio visual experience. Feel the perfection unfold, on your ultra slim TV elegantly fitted with two 10W speakers that will entice your senses. Be it a tear drop or pin drop, feel the pulse cystal clear stereophonic along with razor sharp images that will take your senses to a new high. Feel like an aristocrat with economy power consumption of <0.5W. Enrich your vision, feel real life colors come alive on your TV screen with full HD LED ready 80cms(31.5") screen with brilliant 16:9 aspect ratio and feel a complete multimedia experience unfold.